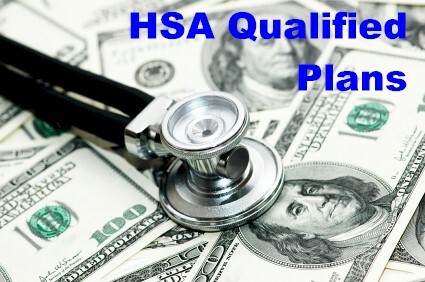 Before you can establish a Health Savings Account (HSA) and make tax-advantaged HSA contributions, you must be enrolled in an HSA qualified high deductible health plan. However, not all high deductible health plans meet the US Treasury Department’s guidelines to be considered HSA qualified. Here are a few of the requirements. HSA qualified health insurance plans have higher deductibles and a single shared family deductible for families. These plans typically have more affordable premiums and the money you save on premiums can more than pay for everyday needs, if you have them. If the unexpected does happen, you’re protected from financial hardship – that’s what health insurance is for. Many HSA qualified health plans waive the deductible for preventive care services like well child exams, immunizations, mammogram and PSA exams. Review the Colorado Health Plan Description for each plan’s specific benefits. What Deductible is Best for You? You may wish to select a deductible near the IRS maximum contribution amount if you can afford to fully fund the HSA the first year. The maximum annual HSA contribution for 2013 is capped at $3,250 for eligible individuals or $6,450 for a family. Maximum annual HSA contributions for 2014 will be capped at $3,300 for eligible individuals or $6,550 for a family. Catch up contributions for individuals who are 55 or older is $1,000 for 2013 and all subsequent years. In the event that you or your family meets your health plan’s deductible, then your HSA qualified health insurance plan takes care of additional covered benefits, providing financial protection. We will review HSA qualified plans from Colorado’s top companies including Anthem Blue Cross Blue Shield, Humana, Assurant Health, Cigna, RMHP, IHC, UnitedHealthOne and more to help you find the best value on the right health plan. Get a free personalized quote on an HSA qualified health plan.